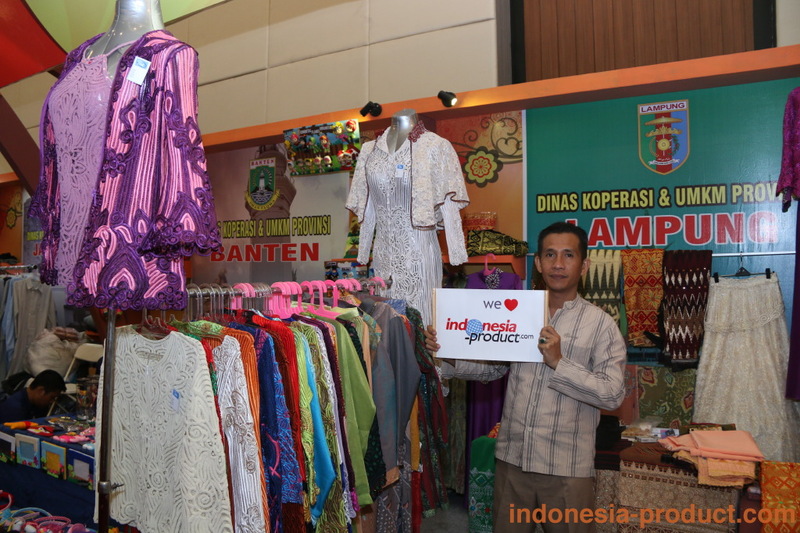 Lampung has many featured craft products that have the potential to export, one of them is industrial of embroidery. Lampung embroidery industry is so unique and has a different style with other regions in Indonesia. With manual machine embroidery, Elfira Collection produces comfortable and elegant cloth for women as well as Moslem fashion and kebaya cloth with flower and leave pattern. All those products are made from beautiful fabrics with bright color and various kind of yarn colors. Elfira Collection not only provides the embroidery cloth, veil, and hijab, but this workshop also produces batik cloth both formal and maxi dress for Moslem fashion. In addition to batik and embroidery cloth, Elfira Collection also sells other embroidery crafts, such as mukena, sarong, handbag, bed linen, pillow case and bed cover in retail and wholesale. Elfira Collection also accepts order of various kind of souvenirs in the form of “usus” embroidery and batik accessories. All those products are made from various kind of beautiful fabrics with various sizes. You could also make your own order with beautiful applications. Besides on that, Elfira Collection also provides traditional and ethnic weaving fabric typically of Lampung. So, let’s get product with pretty choice for your needs of embroidery and batik cloth in Elfira Collection. H. Muhamad Yusuf Masroh, SH.